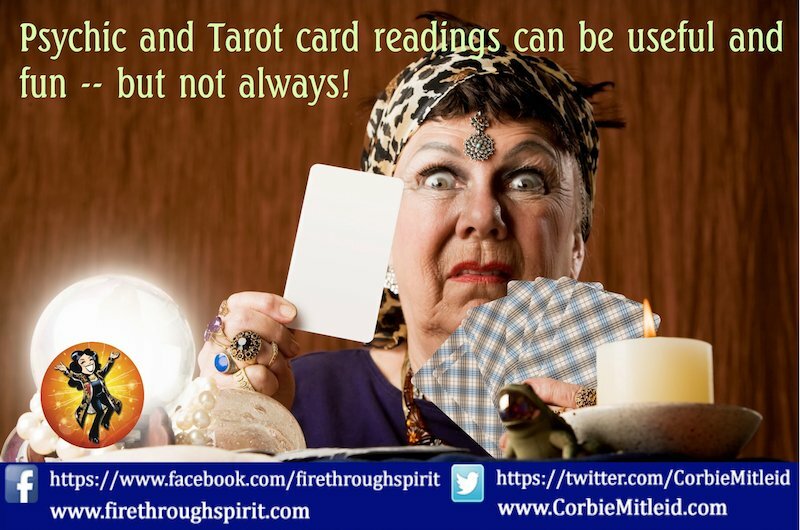 It’s never wrong to ask a psychic questions! Why? Because you want to make sure you get the information YOU are most interested in, and get it in the shortest amount of time. If a psychic just sits and “tells you things” as they come up, no matter how long the session is, you may not get to the subjects that are most important to you. The very best psychic readings are when the client and the reader work together to find answers that will benefit the client most, and give them the best tools and the clearest roadways to creating the life they truly want. We’ll show you which questions are the right ones — and which ones won’t help at all. 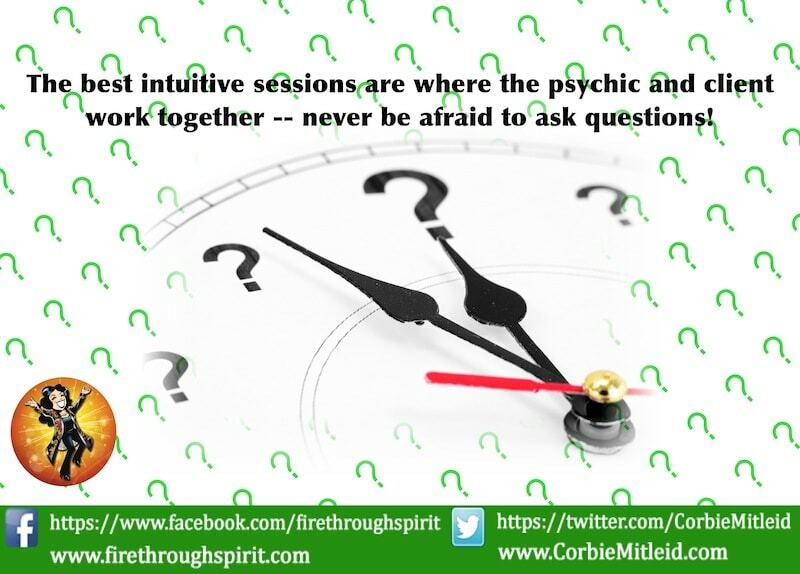 Even when we have questions to ask a psychic, sometimes an intuitive session is the wrong way to go. Corbie Mitleid explains when it's wise not to have a reading. When you have questions to ask, understand that not all psychic readers are the same. Psychic Medium Corbie Mitleid explains why different is good. No matter how much you need answers, there are some questions not to ask a psychic. Corbie Mitleid highlights when you must simply trust your own knowing.